West, who outlines that ‘colour and light became my voice’ creates vivid environments that mix luminous colour and radiant light. Working across a variety of mediums, she aims to provoke a heightened sensory awareness in the viewer through her works. "Following the huge success of our Victoria & Albert Museum Pop Art in Print Exhibition, we are pleased to be bringing Liz West to Chester and to have partnered with the cathedral to present such a powerful and internationally renowned installation. Another great visual art event for Chester!" In addition to the exhibition, there is an Exclusive Evening with Liz West at 6.30pm on Tuesday 27 February 2018 (tickets available from chestercathedral.com) and children’s activities during the February half-term. 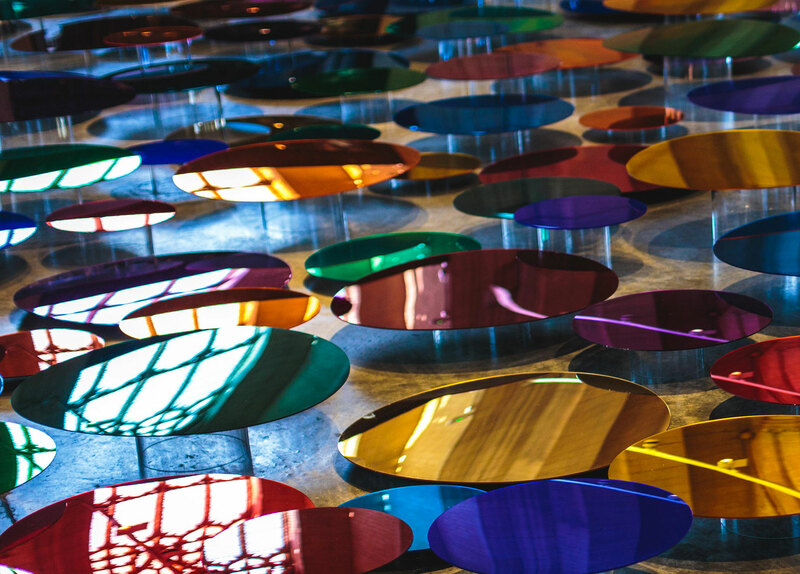 Our Colour Reflection is open daily from Thursday 1 February until Thursday 1 March. Entry is free, though generous donations are welcome.